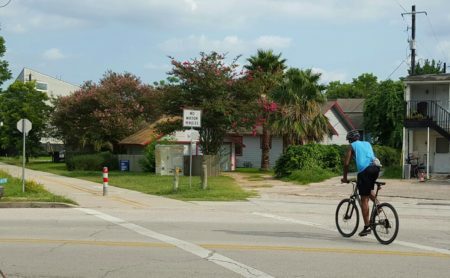 Recently we did a story about a project at Rice University’s Kinder Institute, where cyclists and others reported the near-misses they’d experienced. They’ve now wrapped up that study and we wanted to follow-up to see what they learned. Before chatting with Kinder researchers we thought we’d reach out to local cyclists about the close calls they’ve experienced. So we headed to the Heights to meet Angie Cabrera, an active cyclist who says she likes to ride all over the city. And she also likes to have fun doing it. She told us about one epic jaunt, a “Prom Ride” from Montrose to the East End. That’s when riders get dressed up in formal wear and cycle into the wee hours. But cycling isn’t always as fun as prom night. Cabrera told us about one recent close call when she was trying to make a left turn near Toyota Center. But instead of making the turn, Cabrera says that vehicle just sped on past. So where else are people having close calls? Our next stop is Main Street where we meet Ricky Carroll. He’s a geophysicist at an oil and gas firm and he rides around downtown quite a bit. Carroll says he recently encountered a driver in a place where they weren’t supposed to be. He says a car came straight toward him in the green-painted bike lane on Lamar Street. Those are just a couple of examples of close calls. And they apparently happen a lot. But if there isn’t a crash or a ticket those incidents will probably never get recorded. Kyle Shelton was one of the researchers on the Kinder Institute study. To do their study, Kinder recruited volunteers to record their close calls using a cellphone app. When the weeklong study was finished researchers had reports of over 130 near misses. 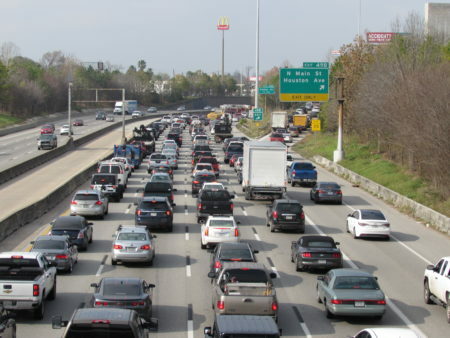 Most of those happened inside the 610 Loop, places like downtown and the Med Center. The majority of close calls involved cars and bikes, incidents like passing too closely or turning in front of a cyclist. But why are those close calls happening in the first place? For one there’s the issue of distracted driving. Shelton says poor street design is also a problem, with roads that were essentially built to accommodate only cars. And that leads to what Shelton calls the “hierarchy of relationships” that makes walkers and cyclists feel marginalized. Researchers say Houston’s new Bike Plan could go a long way in helping all road users co-exist. 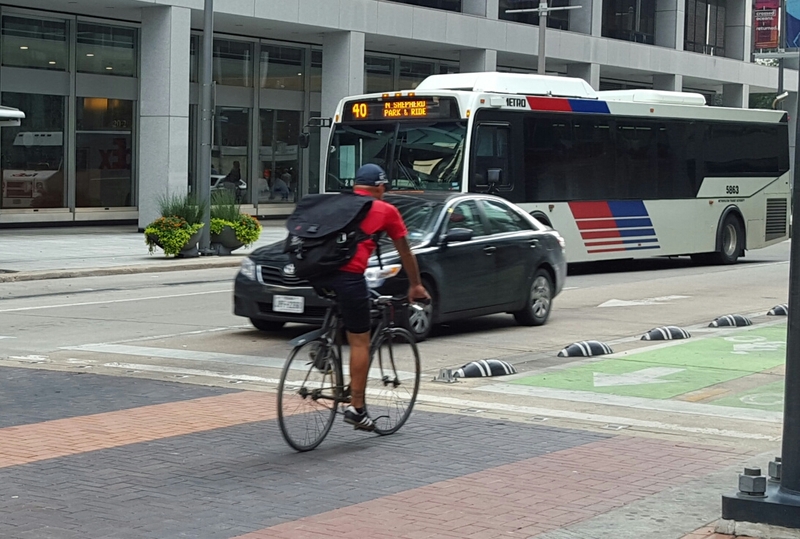 One of the goals of the plan is to set up an extensive network of on-street bike routes. On the law enforcement side, Houston police are conducting sting operations to go after drivers who pass too close to vehicles. 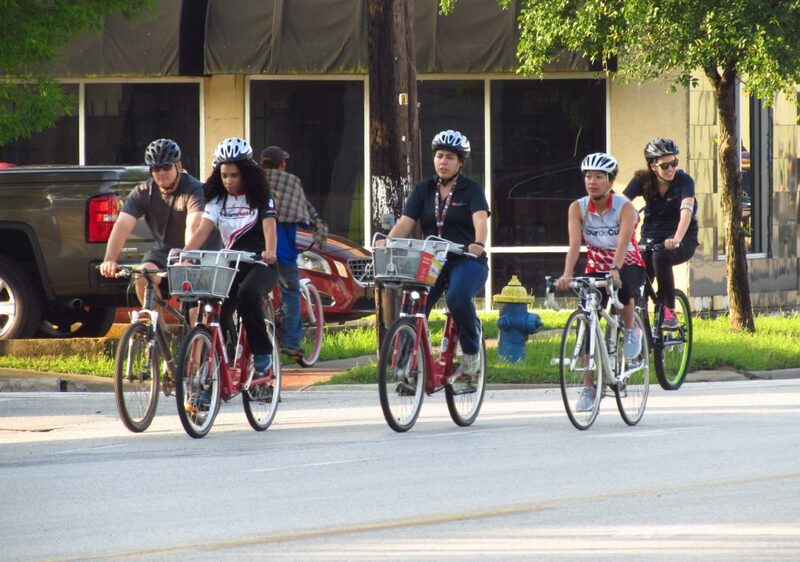 Police Chief Art Acevedo says they’re also on the lookout for cyclists who break the law, like red light runners. Back in the Heights, we meet another cyclist who says it all boils down to personal responsibility. Monica Padron says she’s bikeless right now after getting hit by an Uber driver in Montrose. On top of that she’s also had plenty of close calls. 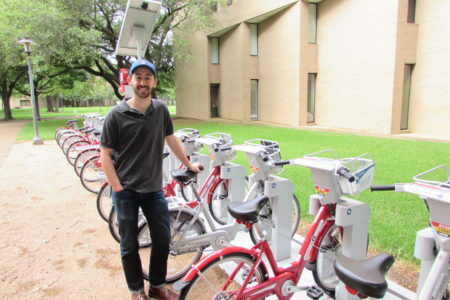 Kinder researchers say they hope to reach out to more cyclists in the future, especially riders in low-income neighborhoods to see if they have the same experience. 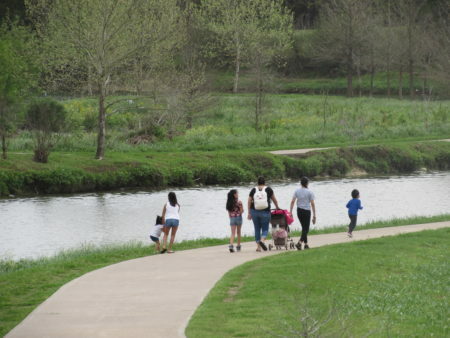 They’re hoping the results will help city planners focus on some of Houston’s trouble spots to help everyone share the road — at a safe distance.